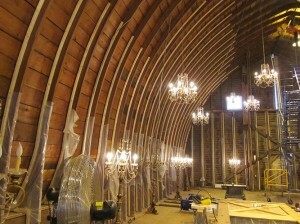 Schussler Creative acquired the Goodrich Ramus Barn, originally built in 1942, with the intent of turning it into an event center. 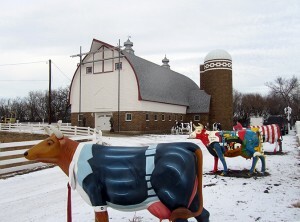 The barn was determined eligible for the National Register of Historic Places due to its connection to the Rock Island Lumber Company. 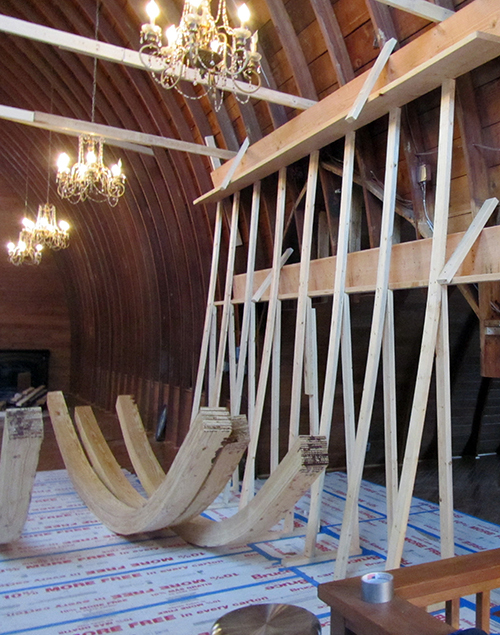 Rock Island was one of several lumber companies that used early glued, laminated timber technology to create curved roof rafters that defined the shape of the roof. 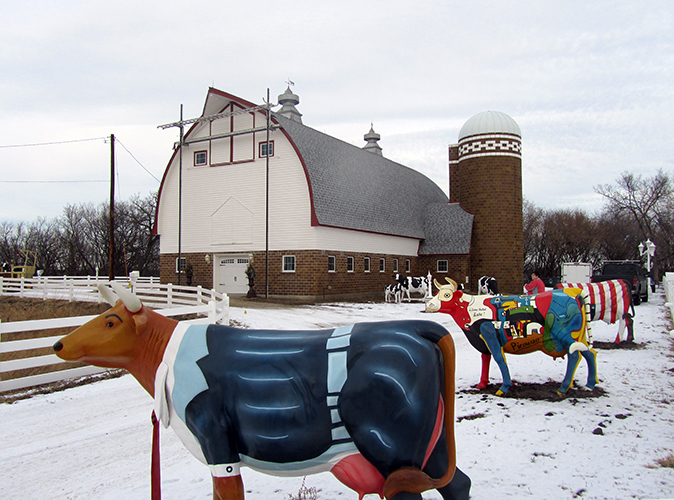 The barns were sold as prefabricated kits ordered from a catalog and shipped to the site for assembly by local semi-skilled labor. Because of their ease and speed of construction, Gothic Arch barns are ubiquitous throughout the Midwest and beyond. 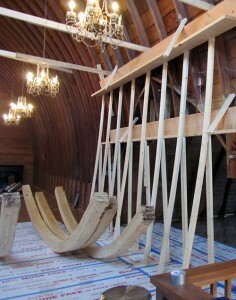 Meyer Borgman Johnson was asked to evaluate, stabilize, restore, and adapt the structure, which included removal of several bent rafters to open up the side aisles. The most historically appropriate method to open these spaces was to fabricate new glued, laminated Gothic-shaped arches over the transept openings and match the roof construction directions. 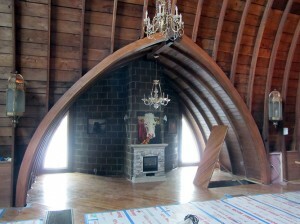 MBJ located a supplier who could fabricate arches bent in two directions; we specified the new arches and designed new inframing pieces and custom connections to the arches. 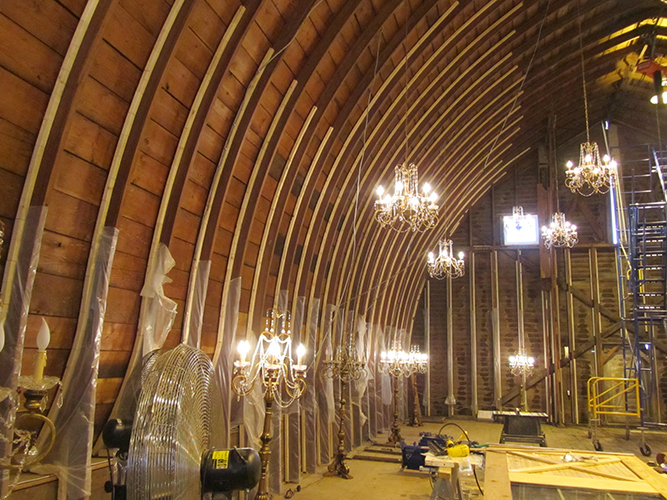 Prior to replacement of the arches, MBJ analyzed the impact these changes would have on the barn’s global stability, evaluated the capacity of the existing foundation, and designed new lateral and gravity load paths.